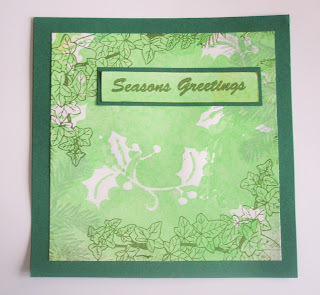 Here's my first christmassy piece of the season for Hels Sunday Stamper Challenge 179 with the theme of Christmas. 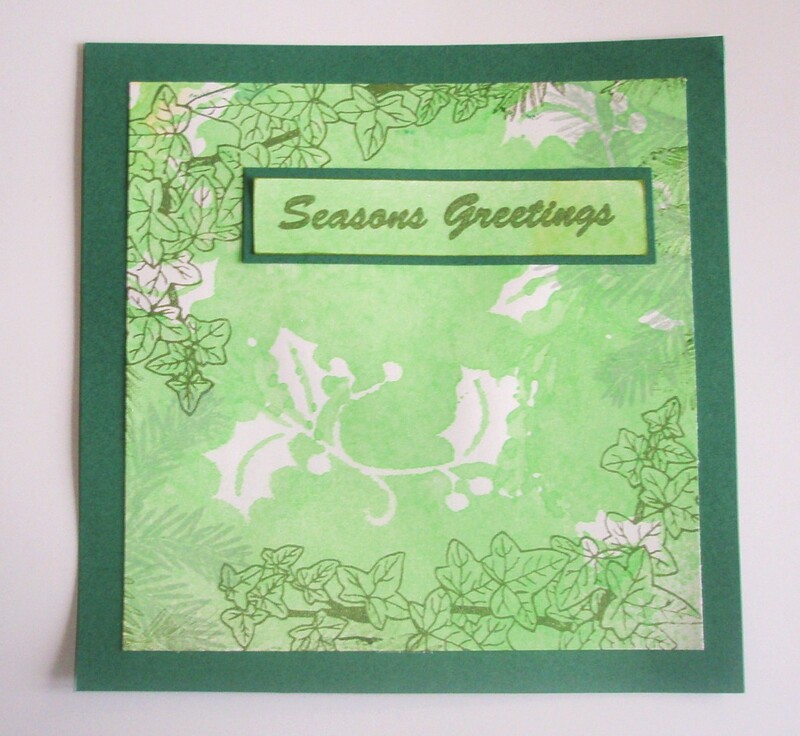 The stamps are Oak House Studio - the Ivy Corner and the spruce twig from the Christmas Collection. I had three attempts at the background using the holly mask from That Special Touch. Has anyone been successful with this? I found it was too thin and flimsy to be blended over and spraying inks just seaped underneath. Turning it over and trying to use the ink left on it didn't work either. I've used the small portion that did indeed look like holly!! Not sure I feel any more christmassy but at least I've had a good rummage through my christmas stamps ready! !